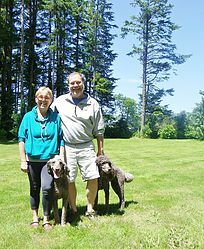 BAY CITY, Ore. – As popular as they are in the Willamette Valley and along the Columbia River River Gorge, disc golf courses are few and far between on the Oregon coast. However, beginning this summer, Bay City will join Astoria and Newport in boasting a disc golf course of its own. The Meadow, a nine-hole course, will be located in the city’s Goose Point neighborhood, not far from Kilchis Point Reserve, where it will be open to the public for a nominal fee. Get special offers Before they are seen on this site!